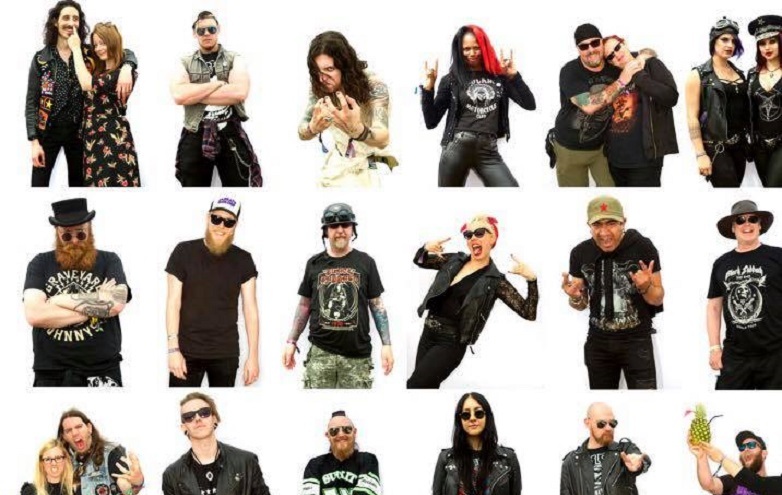 Interview with Roswell in Sour! 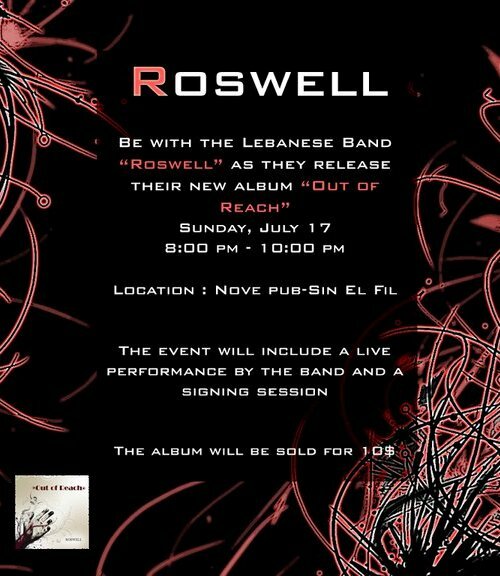 Roswell is an Alternative Rock band from Lebanon. After the release of their first [EP”Reflections”, Roswell gained huge success and developed a strong fan base. They are at the peak of their local success and they promised a complete album to be launched in 2007, as the album is expected to bring them bigger fame and probably get them a decent label to support and publish their art. 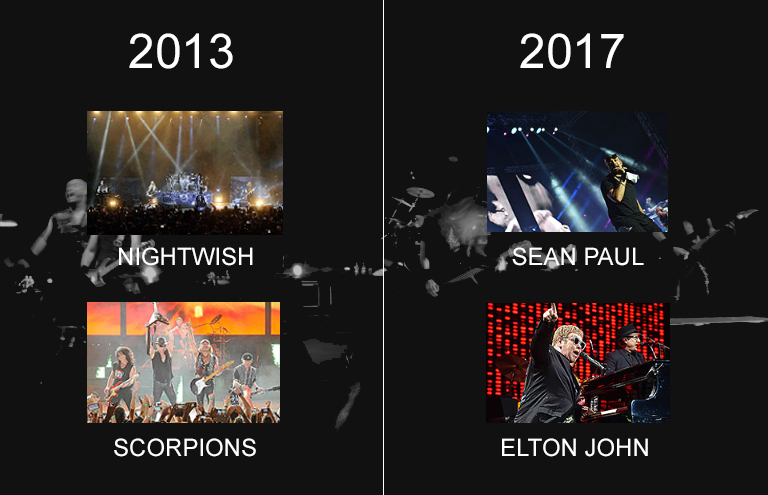 Nevertheless, the album was continuously postponed while the band changed their lineup several times since 2005, due to geographic facts. The band which started with Ghaith El Hor on Drums, Karim Senno on guitar and Maher Mardini joining the band on Bass, is now lead by Ghaith, the Holder of the flag and Youssef El Fahel, the second and only current official member of Roswell. Ghaith and Youssef both live in Sour which is approximately an hour from Beirut. 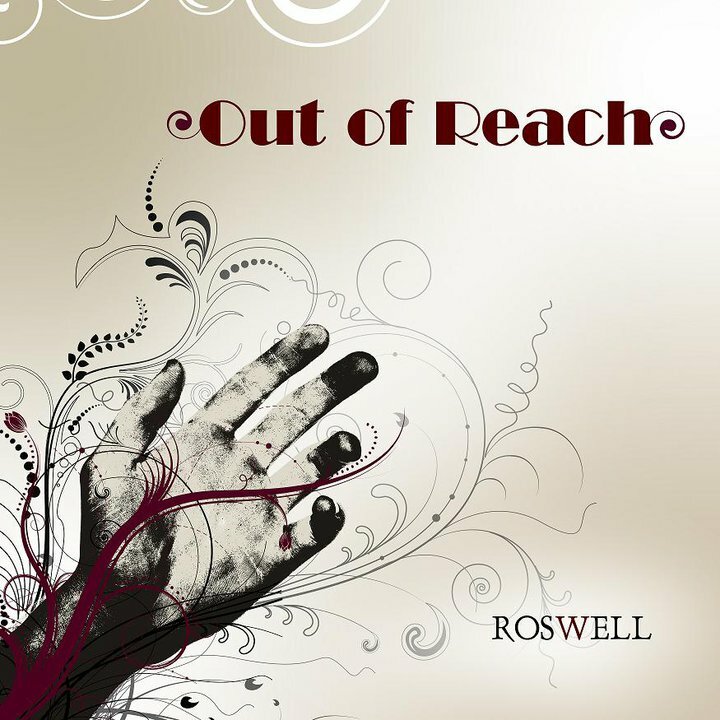 A few weeks ago, Roswell announced that they’ll be having an album release concert for “Out of Reach” on July 17th 2011 after several delays. I went back to our LebMetal.com archive and thought it’s time to release an interview I’ve done with Roswell in 2010 (Sour – Saturday 10/7/2010). 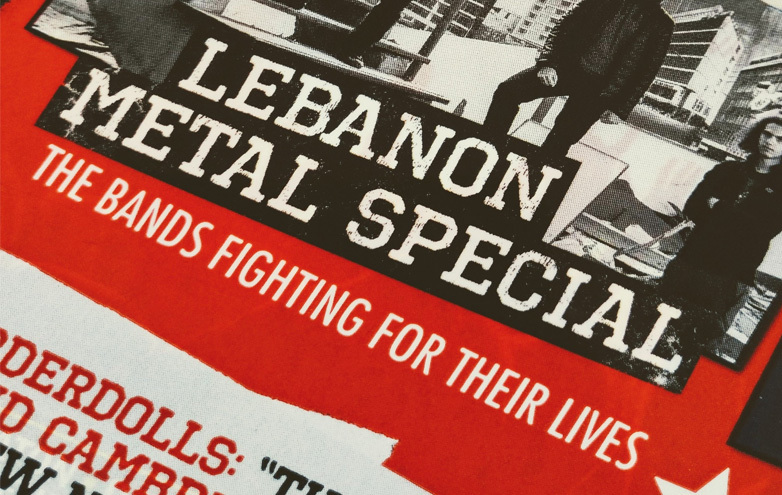 On behalf of Lebmetal.com, I would like to thank Ghaith and Youssef for this long time interview, arranged in those short questions and (long) answers. The trip to Sour was amazing and meeting the people of Sour was outstanding. Tell me in short about yourselves. Ghaith: My name is Ghaith el Hor I am twenty four years old. I am the main founder of Roswell and currently studying sound engineering online with Berklee College of Music. I am also studying Radio/TV in AUST and I own a studio where I record my music. Youssef: My name is Youssef el Fahel. I am twenty eight years old. I studied classical music theory in the national conservatory along with playing the clarinet for 8 years and I also play the saxophone. I joined Roswell in 2008 and worked with Ghaith to finally produce our first full album and present it to the fans. How did Roswell start as a band and what’s the story behind the band name? 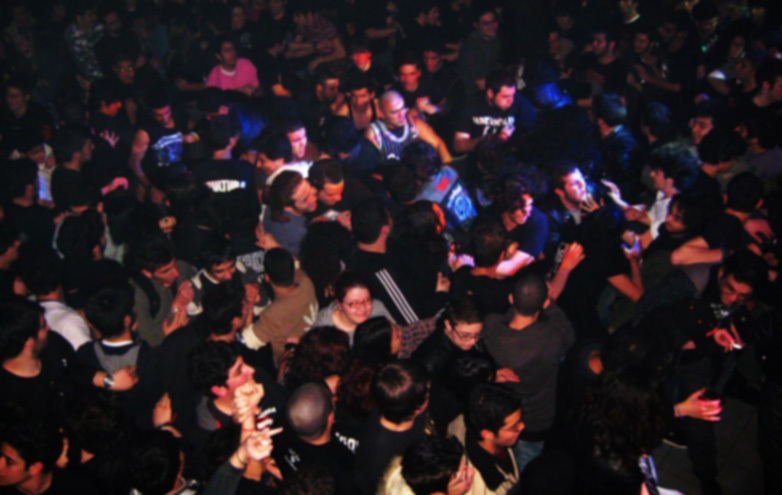 Ghaith: We weren’t aiming for a serious band when we started. We were a bunch of friends; we registered in AUST bands competition aiming to play some Hardrock/Metal music. Not all of us where committed to hit the stage. We changed the band line-up and style without any planning, I was supposed to play the drums but then I moved to the front and held the vocal mic. The day after we went to the winner announcement just to check the winning band and it turned out it was us. Having some songs written and encouraged by my friend Karim Senno we went into a small studio and started recording… there are lots of ups and downs in the story I won’t go into details. For the name Roswell, well I was listening to a track called “Roswell 47” by “Hypocrisy” when we were looking for a name and back then I asked Maher “Shall we call it Roswell 47” and the answer was “Yeah Fine Dude”. We later changed it to “Roswell”. How was the [EPReflections prepared and released? Ghaith: I was encouraged by my friend Karim to record my music, back then I had four tracks in mind and an intro was added. Mr. Jyad El Murr supported us and helped us promote the EP through Virgin Megastores and NRJ radio (RML back then). We had a release concert inside Virgin Megastore in Downtown and that night the album sold over a hundred copy. That EP gave us the opportunity to be one of the bands playing in “Fete de la Musique” as we were asked to perform in June 21 2006. At that time the lineup was me on vocals, Maher on bass, Karim on guitar and Kevin Haddad on drums. When did you start working on the next album? Directly after Reflections release we started working on material, people like Anthony Dyrasoyan joined the band on keys, he also contributed to the music. 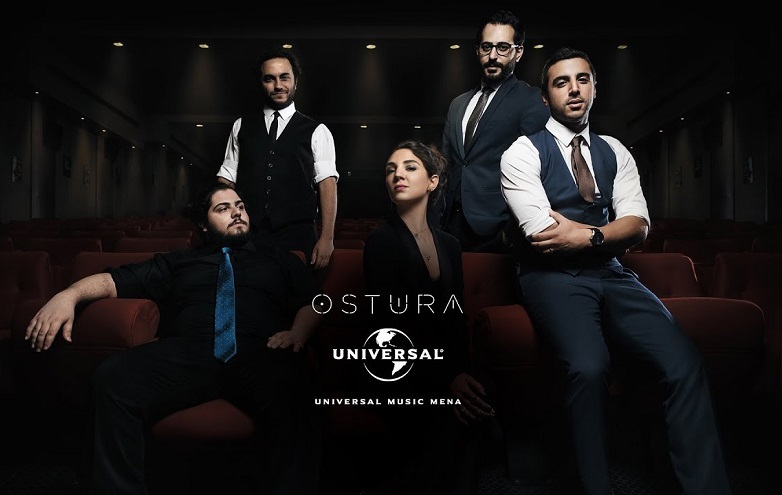 The reason for postponing the finishing and release of the album is our location, we are far from most of the other members of the band and we were not able to work together frequently. Tell me about the new album. What is the album title? Is it different from Reflections? Ghaith: The album is entitled “Out of Reach” with one of the tracks entitled “A feeling out of Reach”. It is mostly composed, recorded, arranged and released by me and with the help of Youssef in my own studio in Sour. It includes eight tracks and I am sure that the people who liked Reflections will be amazed by “Out of Reach”. We have gained more experience in what we are doing and that will be noticeable in the album. Will there be some clarinet parts or saxophone in some tracks? Youssef: Of course! I have composed and recorded some nice clarinet and saxophone lines. I have an experience in playing with an orchestra the classic tunes and playing currently with a band in pubs some jazzy tunes. I am excited to know about Roswell with Symphony concert. Tell me about that. How was it? Ghaith: I have a friend named Anthony, a cello player, I have always had the idea of a sympho rock performance and I have contacted him back then to see if such concert is possible. He helped me gather ten classical musicians. 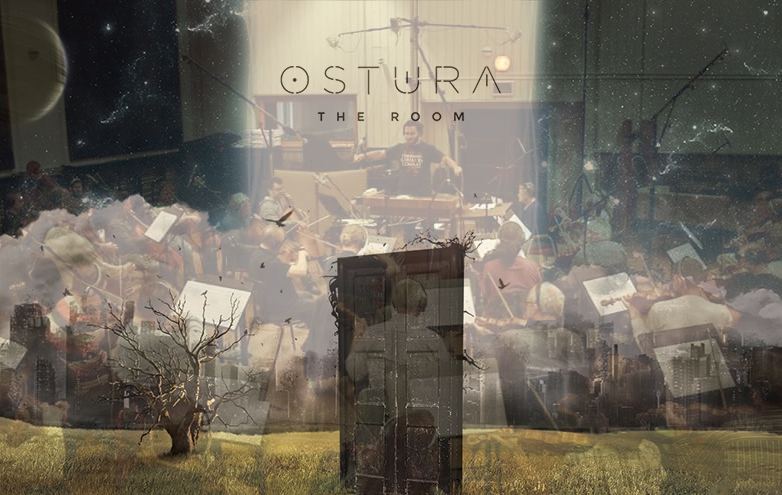 The music was composed by me and Youssef for the orchestra. It was done in a closed theater in Sour. There was about two hundred and fifty attendee and I think we are going to do that again! P.S: You can find this demo currently posted on Youtube. Check the video below.